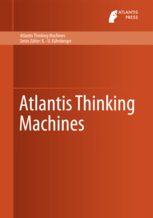 Initially, the field of Artificial Intelligence (AI) was aimed at constructing 'thinking machines', that is, computer systems with human-like, domain-independent intelligence. But this task proved more difficult than expected. As the years passed, AI researchers gradually shifted focus to producing AI systems that intelligently approached specific tasks in relatively narrow domains, basing their works on earlier research from classical disciplines like psychology, logics, linguistics and computer science. However, during the past few decades research in understanding and reproducing human intelligence has expanded from traditional approaches into diverse areas, including disciplines like neurosciences, neuro-informatics, computational linguistics and, perhaps most importantly, cognitive science. Moreover, new results in research on neural and probabilistic machine learning, dynamical systems, biological processes in and structures of the brain, as well as robotics and large-scale systems are greatly affecting current research in understanding and reproducing human intelligence. Given the great progress made with these new approaches, more and more researchers from multiple disciplines have recognised the necessity of returning to one of the original goals of AI in the early days, namely to build models of domain-independent intelligence. Increasingly, there is a call to focus less on highly specialised 'narrow AI' problem solving systems and more on confronting the difficult issues involved in creating 'general AI', i.e. domain-independent intelligence modeling of both lower and higher cognitive abilities in one comprising framework. This book series publishes books resulting from theoretical research on and reproductions of general AI. Practically this does not mean to abandon classical findings, but this book series intends to focus on the establishment of new theories and paradigms. At the same time, the series aims to explore multiple scientific angles and methodologies, certainly including results deriving from research in cognitive science, the neurosciences, theoretical and experimental AI, biology and from innovative interdisciplinary methodologies.